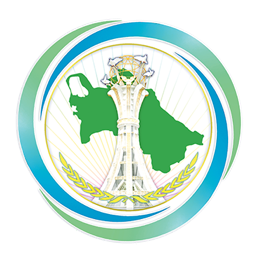 On February 18, 2019, the solemn conference «Turkmen diplomacy: at the service of resolving international issues» was held at the Institute of International Relations of the Ministry of Foreign Affairs of Turkmenistan, which was dedicated to the Day of the Diplomatic Workers of Turkmenistan. Heads and employees of the diplomatic service of Turkmenistan, representatives of the Academy of Sciences of Turkmenistan, the Institute of State, Law and Democracy of Turkmenistan, heads of diplomatic missions and representative offices of international organizations working in Turkmenistan, teachers and students of higher educational institutions, representatives of public organizations of our country, also national and accredited in Turkmenistan mass media participated in the work of the conference. At the beginning of the conference, the congratulatory message from esteemed President of Turkmenistan Gurbanguly Berdimuhamedov addressed to the participants of the conference on the occasion of the Day of the Diplomatic Workers of Turkmenistan was read. There was said that the efforts of our country aimed at maintaining universal peace, security and sustainable development find great support in the world community. After reading of the congratulatory message, there was a presentation of the video film on the foreign policy of President of Turkmenistan. Also, during the conference there were speeches by the heads of the representations of international organizations, who work in Turkmenistan. Then there was held the accepting the address to His Excellency President of Turkmenistan Gurbanguly Berdimuhamedov from the participants of the solemn conference «Turkmen diplomacy: at the service of resolving international issues», in which gratitude was expressed for paying special attention to the issues of the country's diplomatic service. Also, within the framework of the conference, a presentation of the book which included speeches and presentations of the President of Turkmenistan and the book dedicated to the foreign policy of the national Leader was held. After, the Rector of the Institute of International Relations of the Ministry of Foreign Affairs of Turkmenistan, Rector of International University for Humanities and Development and Heads of some diplomatic missions working in Turkmenistan made their presentations. After the speeches an awarding ceremony with the diplomas of the Ministry of Foreign Affairs of Turkmenistan was held for especially distinguished young diplomats and students of the graduate course of the Institute of International Relations. Then the festive concert was prepared by the students of the country's universities in honor of the Day of the Diplomatic Workers of Turkmenistan. In the end of the competition, the lectures on the key areas of the diplomacy of Turkmenistan by the heads of the representative offices of the International organizations in Turkmenistan were organized at the training center of the Institute of International Relations of the Ministry of Foreign Affairs of Turkmenistan. Moreover, on February 15-17, 2019, checkers, chess and volleyball tournaments had been held with the participation of the staff of the Ministry of Foreign Affairs of Turkmenistan and Diplomatic missions accredited in Ashgabat. Also conferences dedicated to the Day of Diplomatic Workers of Turkmenistan were arranged by the Representative offices of the Ministry of Foreign Affairs of Turkmenistan in Ahal, Balkan, Dashoguz, Lebap and Mary provinces.